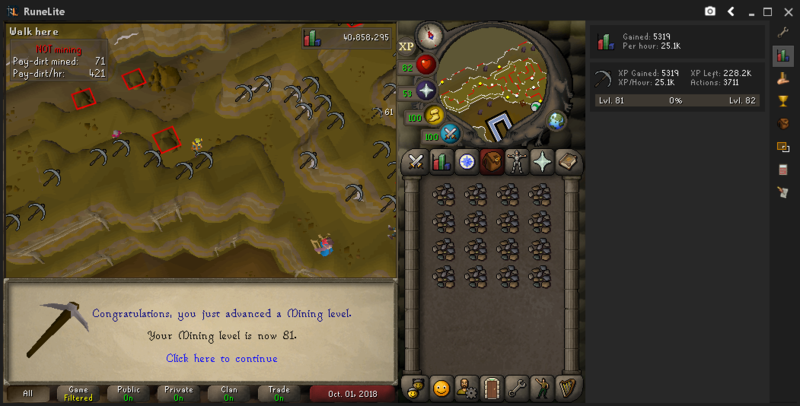 A trip to the motherlode mine inspired me to get 99 mining on my iron woman. 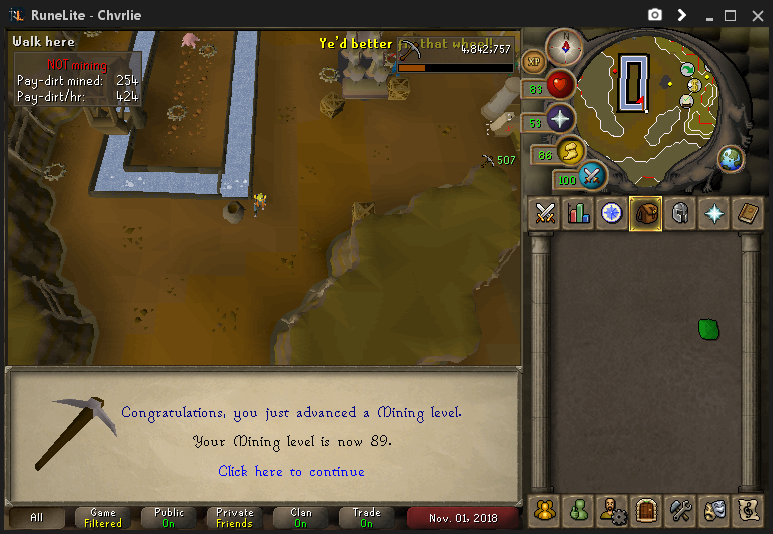 I currently only have one 99 which is firemaking and fairly easy to get with Wintertodt so I thought it'd be good to grind out a 99 that take me a bit longer. I'll be saving myself from insanity with Netflix & my alt account. 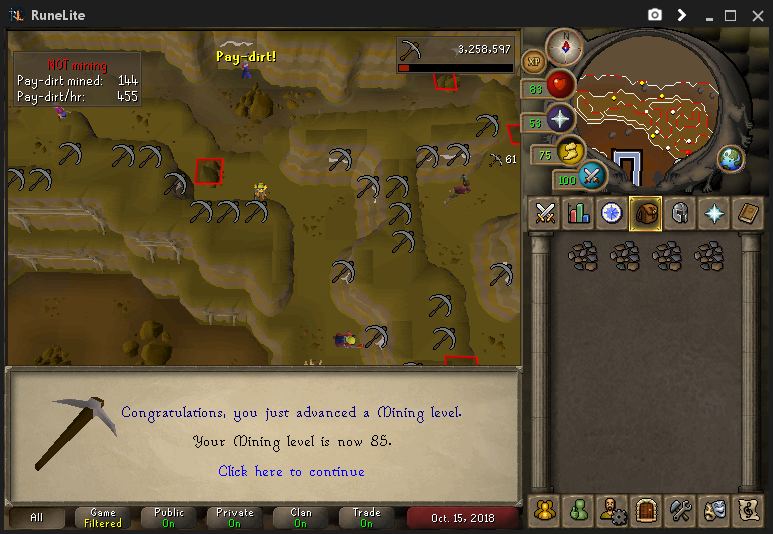 I started at 80, so I've got some levels to go. All golden nuggets & ores will be saved, the ores will be use for smithing, obviously, afterwards. Missing some of the levels as I wasn't on my PC when I got them. My bad. 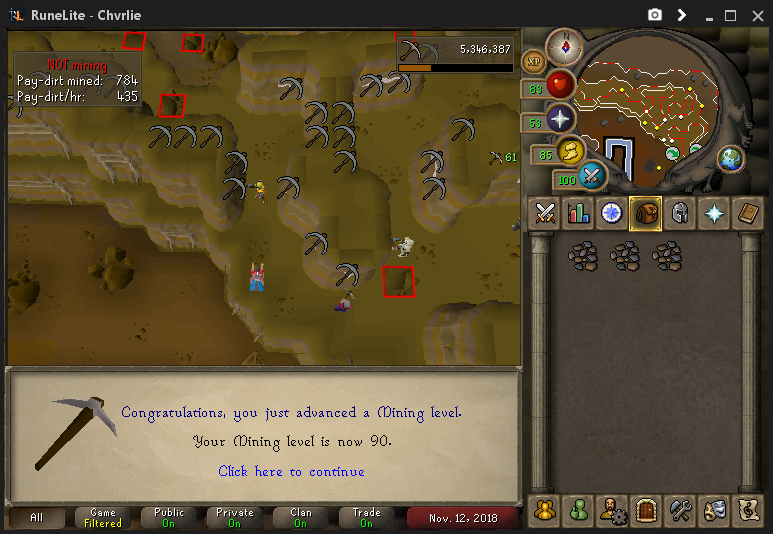 Congratulations on your levels and best of luck with 99. Still quite a ways to go. 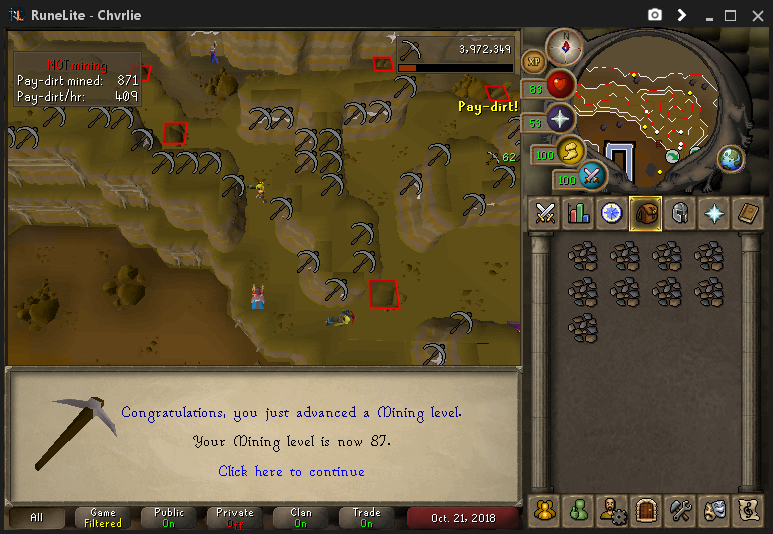 Do you plan on unlocking Fally Elite before finishing off 99 for the increased chance at better ores? (10-22-2018, 10:59 PM)I Love You Wrote: Congratulations on your levels and best of luck with 99. Still quite a ways to go. 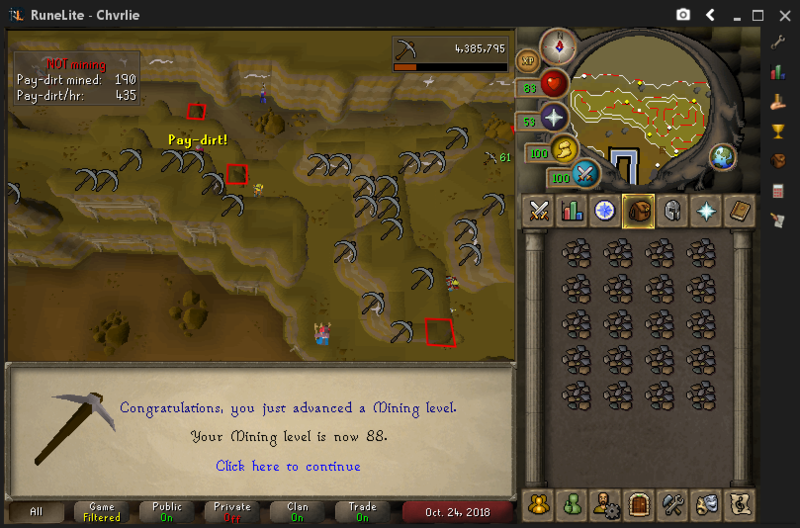 Do you plan on unlocking Fally Elite before finishing off 99 for the increased chance at better ores? Thanks! I sure do, I haven't gotten bored of it yet though thankfully. I doubt I will, it'd be nice but I don't have some of the requirements and it'll take time away from mining to get them. Just got 88. 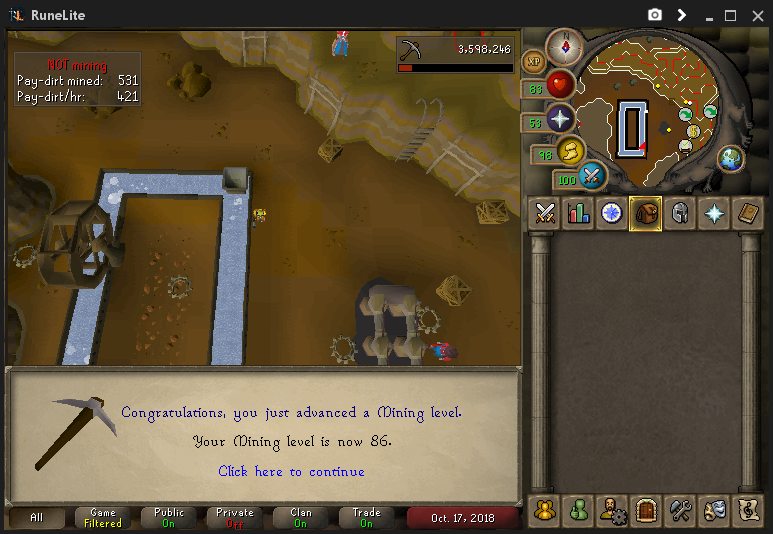 Gonna fit in some farm runs as well, as I keep forgetting about it and then back on the grind. 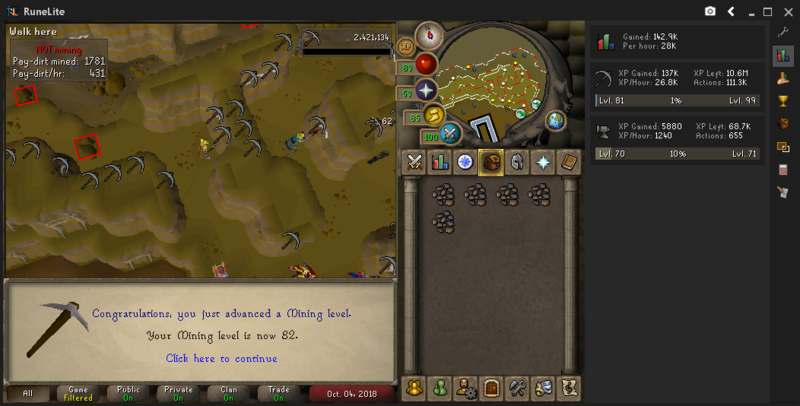 Nice work on the levels, trying to get round to mining myself but can only manage 1-2 levels per motherload trip. I will do! I've been struggling with some mental health stuff recently so haven't been playing as much as I like but I did get 89 the other day. Jumping back onto the grind today though! Ayy nice gains man, keep it up! Thanks! I'm gonna try and get back into the grind of things now that I'm in a better place.